I inherited a husky tool box that is missing one of the drawers. Would like to know if and where to get replacement drawers. 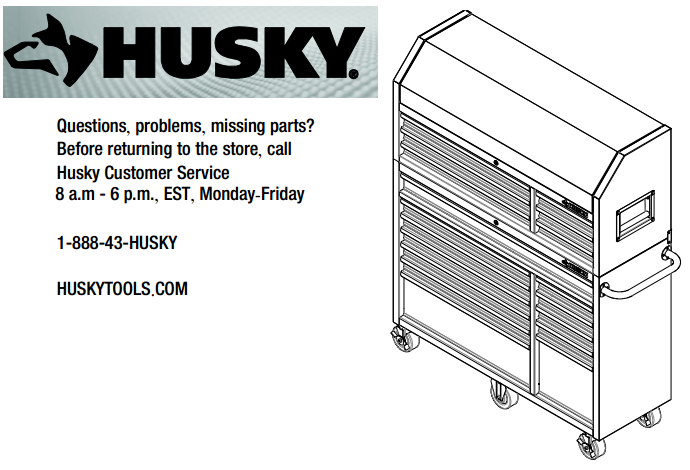 Make sure to get the model number/SKU of your Husky Tool Box first, which is usually on the inside of the cabinet area, and then contact Husky directly below with the number provided.